Hebe Haven, a.k.a. Pak Sha Wan, is a perfect harbor in Sai Kung for yachts and boats. The harbor is surrounded by a long peninsula extending from Tsiu Hang with only one opening to Port Shelter (a.k.a. Ngau Mei Hoi). Along the shore, there are all kinds of businesses related to boating and sailing, such as shipyards, Hebe Haven Yacht Club and Hong Kong Scout Association – Pak Sha Wan Tam Wah Ching Sea Activity Center. It is easy to rent tackle, bait and other fishing equipment here. Hikers on MacLehose Trail Stage 4 in Ma On Shan Country Park can get a good view of Hebe Haven. 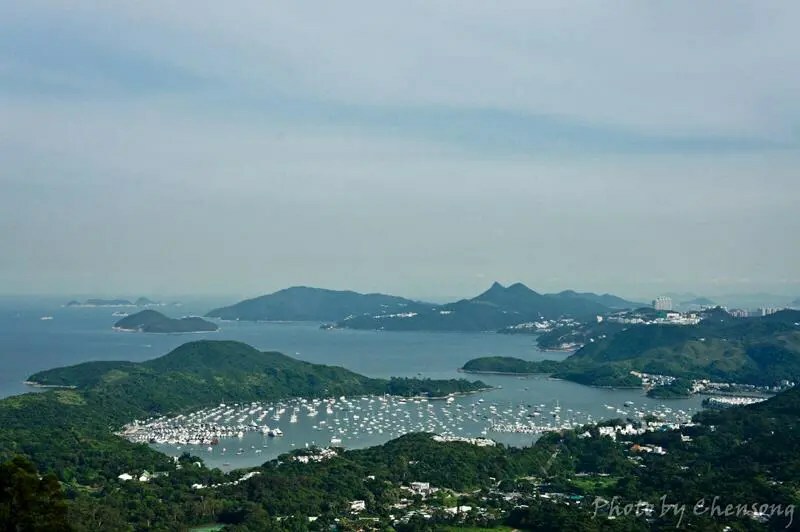 Other well-known scenic spots in the view are High Junk Peak (Tiu Yue Yung), Shelter Island (Ngau Mei Chau) and Ninepin Group (Kwo Chau Islands).